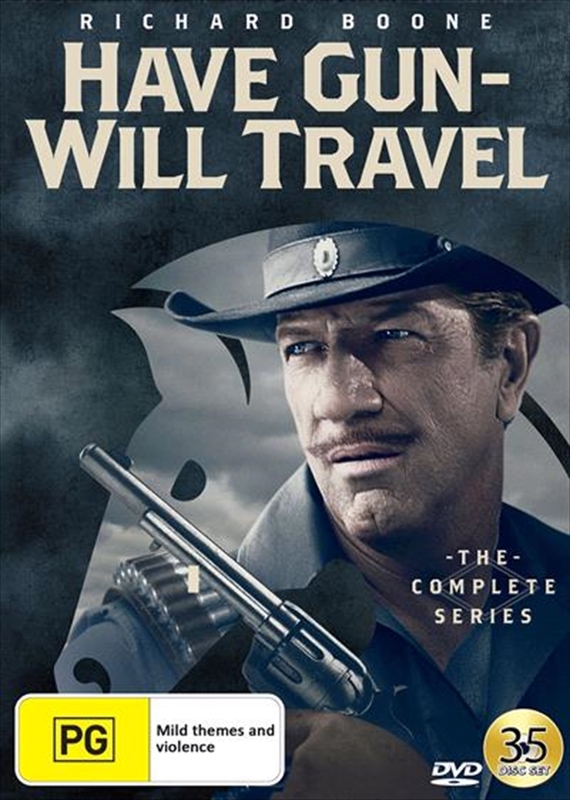 Professional gunfighter Paladin (Richard Boone) was a West Point graduate who, after the Civil War, settled into San Francisco's Hotel Carlton were he awaited responses to his business card: over the picture of a chess knight Have Gun, Will Travel ... Wire Paladin, San Francisco. His impeccable style, literate sophistication, and distinguished Civil War service made him unique among Western heroes, and the prototype for many dashing figures to follow. From the makers of Rawhde, Gunmoke and Perry Mason, this 39 episode collection is a must have for collectors of classic western TV.